Super Safi’s Stats & Strategy Special: Minigames – Where’s Maggie! While we’ve previously discussed Springfield Downs and the Go Kart Track last year, we’ll continue to look at most of the Minigames found within our game. We continue our journey today with Where’s Maggie! Bouncing by to go over some of the repetitive Questions we keep seeing in the comments. Figured it would be easiest to just drop them all here in one spot. Take a look see below and see if YOUR Question is answered. WHERE’S MAGGIE? Playdough Factory Game! Bouncing by with some incite and details on a fun lil mini game involving Maggie you will encounter at the end of the Act 3 Main Questline. 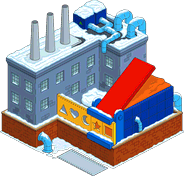 Once you completed all 22 Parts of the Main Questline, the option to play “Where’s Maggie” will trigger in your game and the Playdough Factory will come into use for it.